Customers and executives want clear project visuals. Office Timeline was designed to quickly create Gantt charts and timelines that earn their attention and inspire confidence in you. 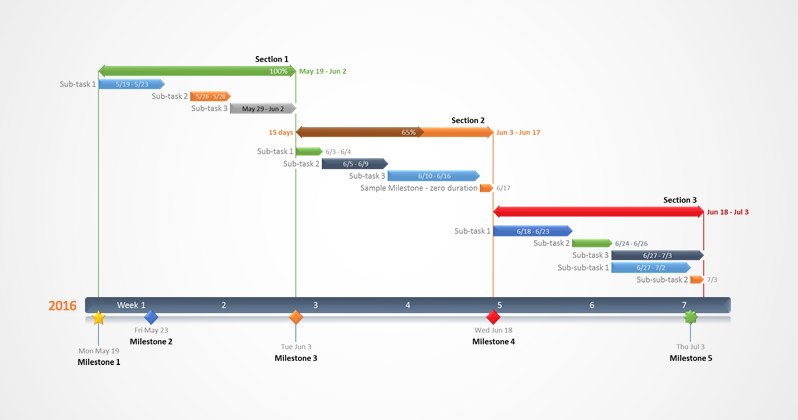 Project management Gantt chart with sub-tasks and a timescale set to weeks. 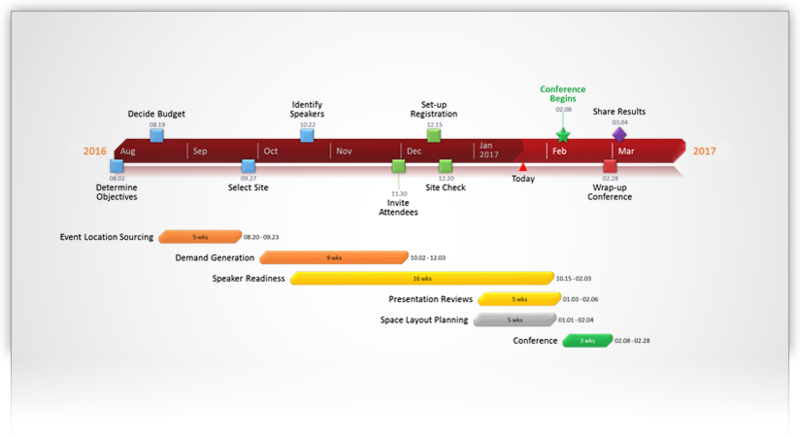 Modern project planning Gantt set in gel style and showing task duration. 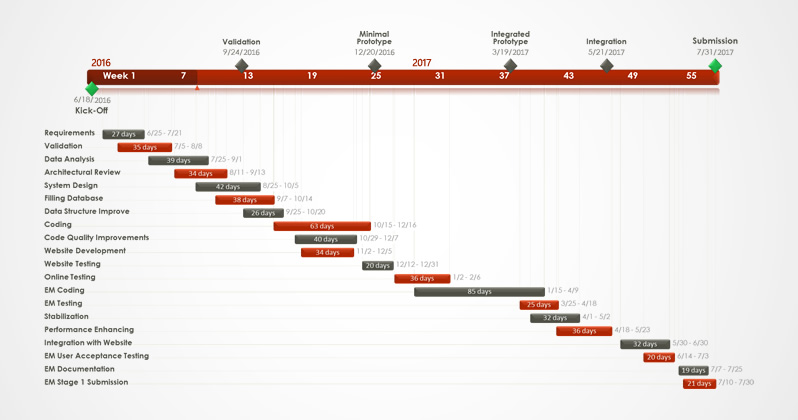 Critical milestone timeline showing elapsed time for executive presentations. 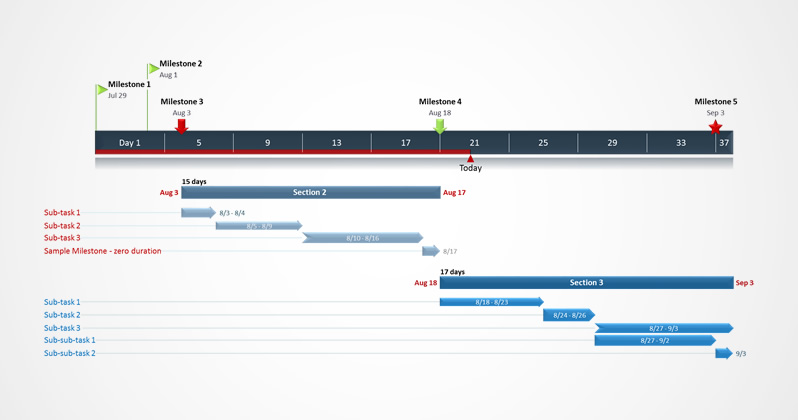 IT Project management Gantt chart set in modern theme with a flat style. 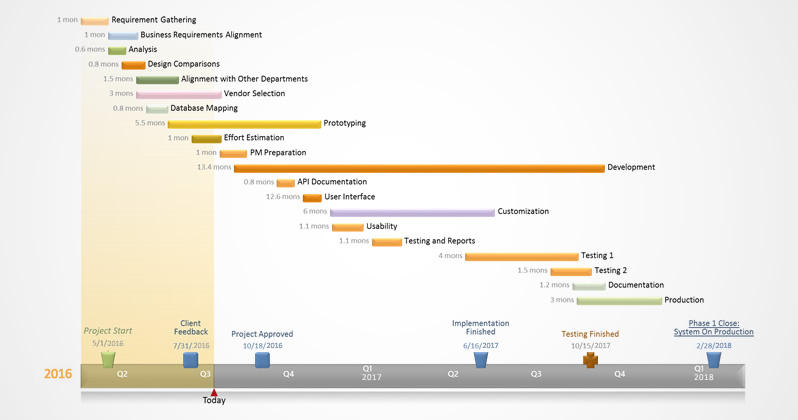 Quarterly program management Gantt chart with thin task bands. Progress Gantt chart highlighting percent complete for each task. 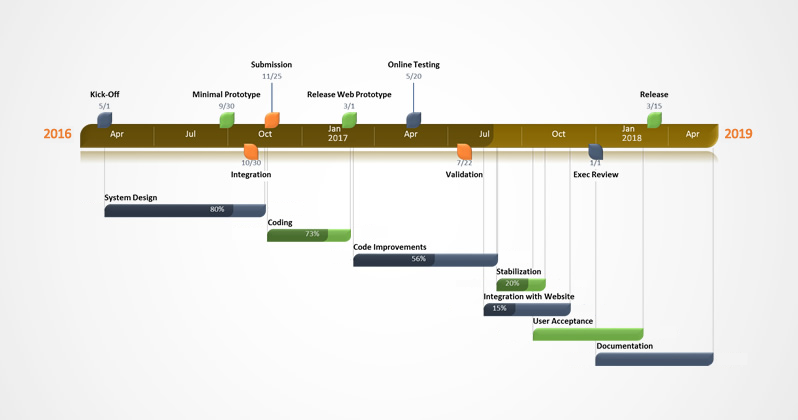 Gantt template with day timescale for agile project management. 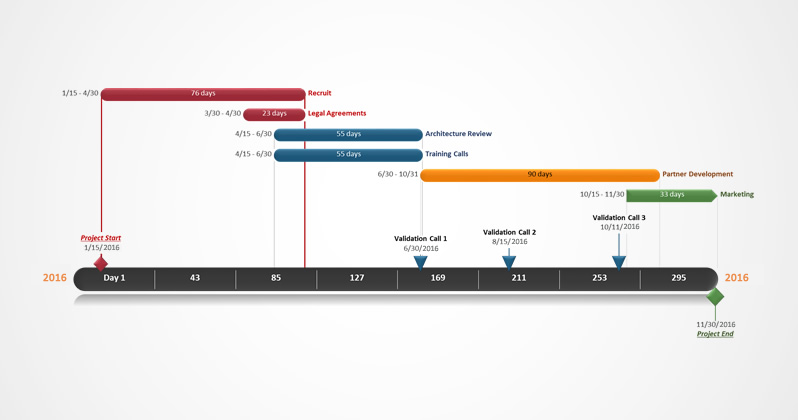 Rounded Gantt with connectors highlighting critical tasks. 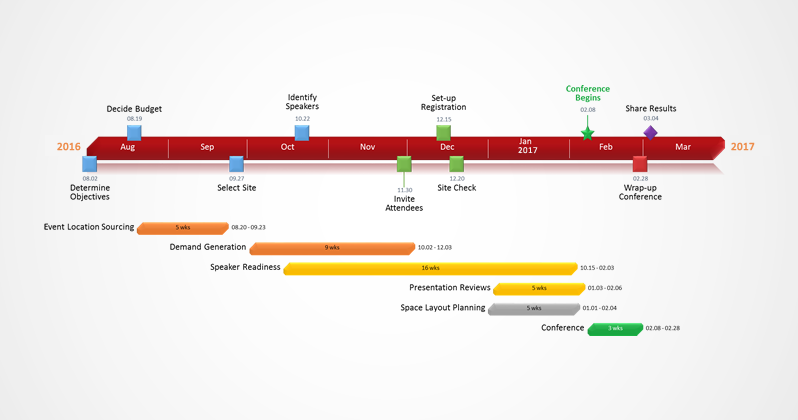 Traditional Gantt diagram with drop down connectors from timeband. 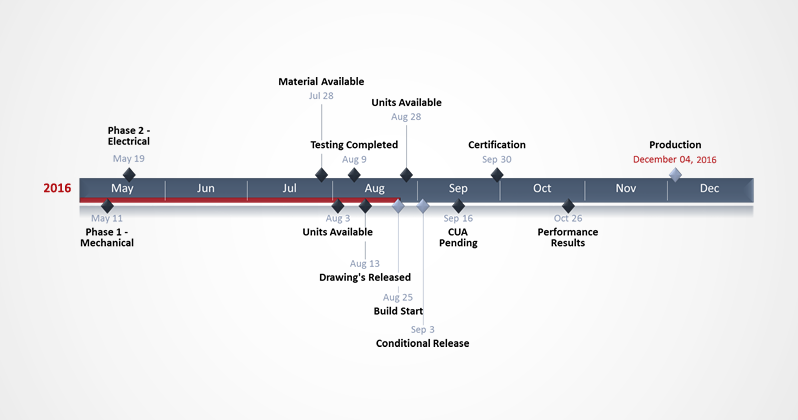 Creating professional Gantt charts and timelines has never been easier or quicker. 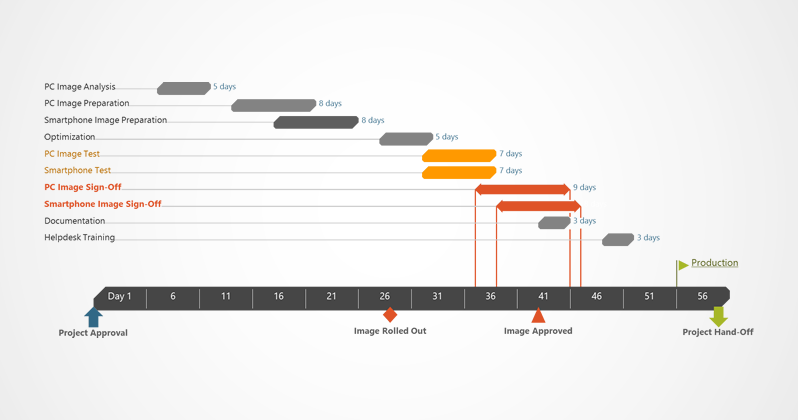 Seamless integration into PowerPoint and a powerful yet-easy-to-use Timeline Wizard means you can start creating great looking project visuals in seconds. Stand out and impress your customers, colleagues and managers.